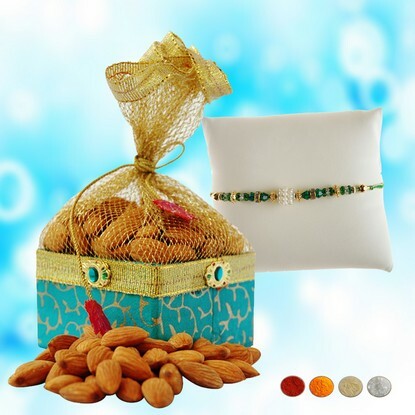 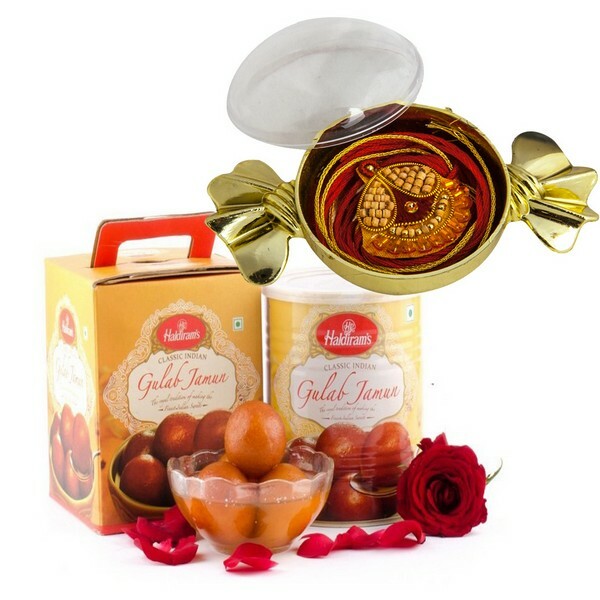 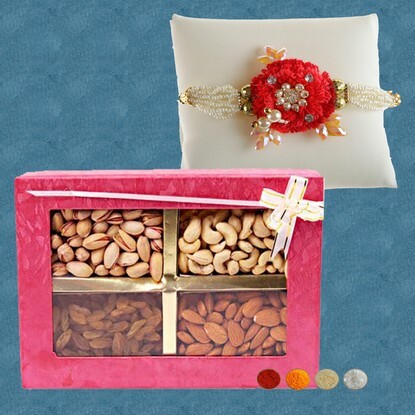 This is a complete Rakhi Gift Hamper for Raksha Bandhan Celebration. 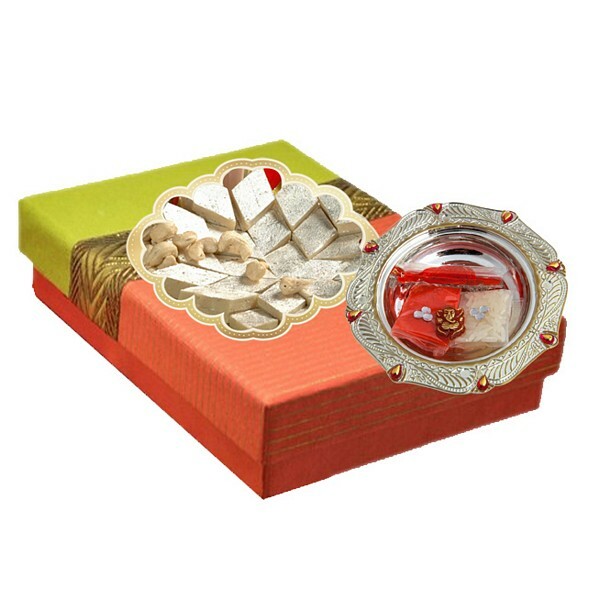 This hamper you will get 1 silver color small Rakhi Pooja Thali, 1 Auspicious Rakhi and 500g Haldirams Kaju Katli Sweets. 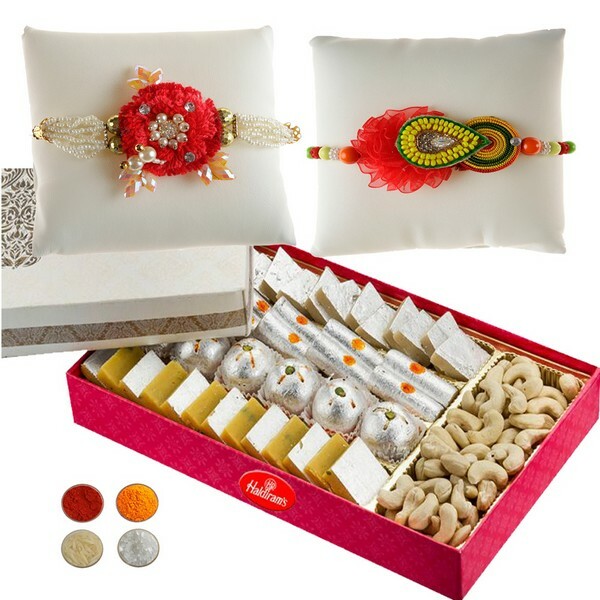 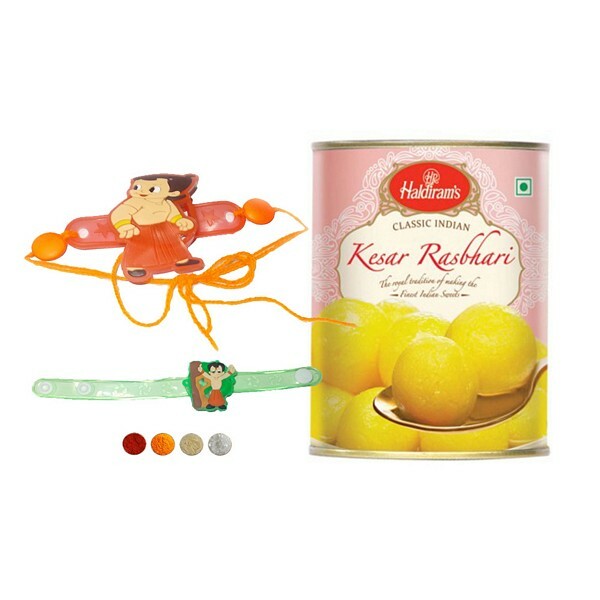 We also provide complimentary Rakhi Tilak Kit that consists of Roli, Chawal, Chandan and Mishri.